Hi world! 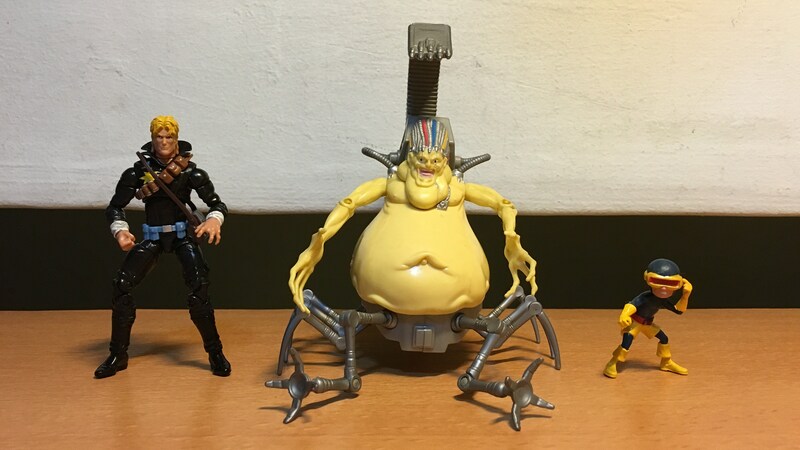 It’s been a short but busy month of February, and for this month I showcase another Toybiz figure that I have collected as I think he is somewhat compatible with my other 4″ Marvel figures – Marvel’s Mojo. 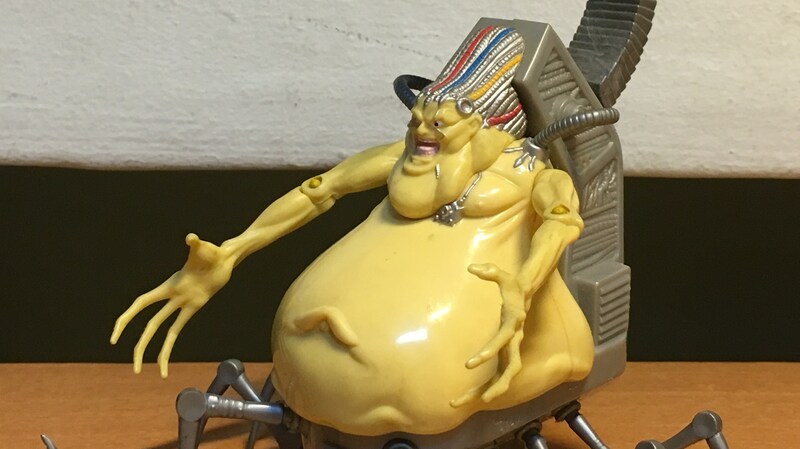 Mojo is an alien slave owner who rules the ‘Mojoverse’, a dimension where all beings are addicted to Mojo’s television programs. 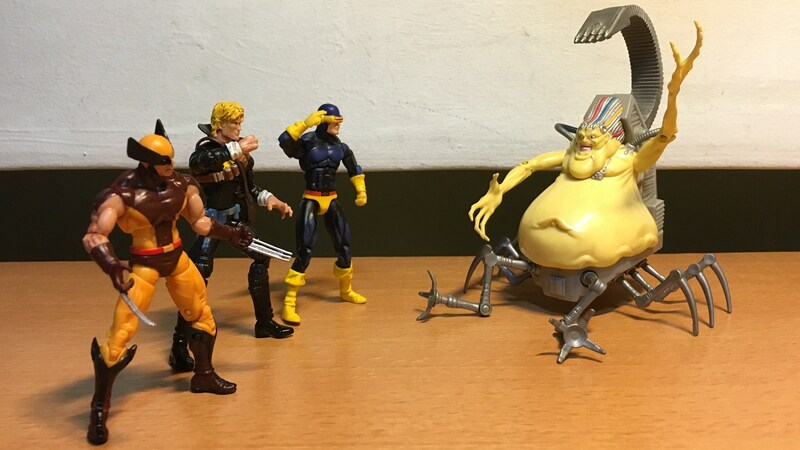 Mojo is a frequent enemy of the X-Men, and had on numerous occasions clashed with them. 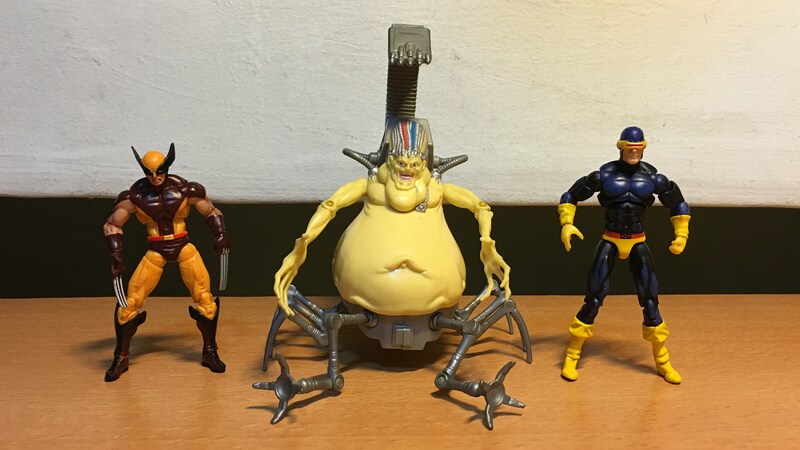 Mojo has often expressed a desire to enslave Earth and the X-Men, and his various encounters with them had often shot his ratings through the roof. 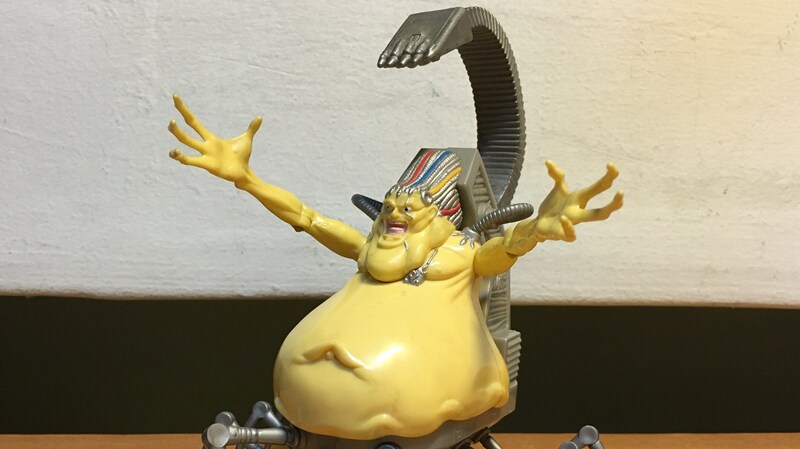 Mojo’s likeness in the Marvel cartoons remains generally faithful to his comic book appearance, which is a sick yellow colour grotesque blob of mass supported on an exoskeleton, complete with wires that keep his eyes wide open. The character of Mojo is written as an absurdist parody of TV network executives. 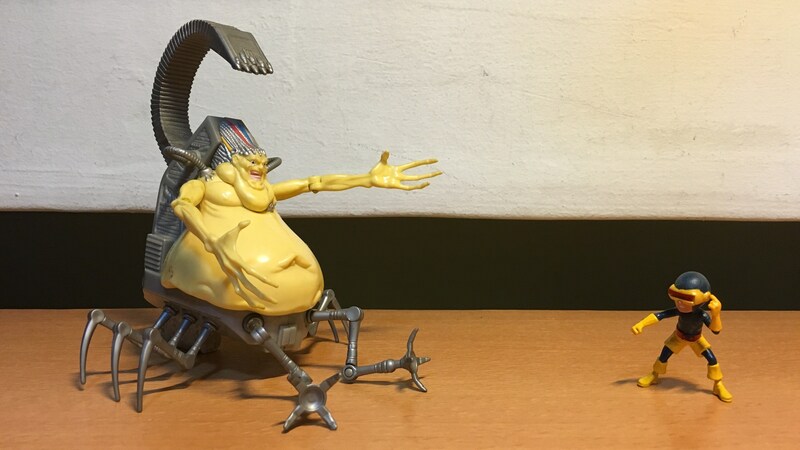 Mojo’s exoskeleton has an artificial appendage which operates as an arm or slicer, and it shoots laser. 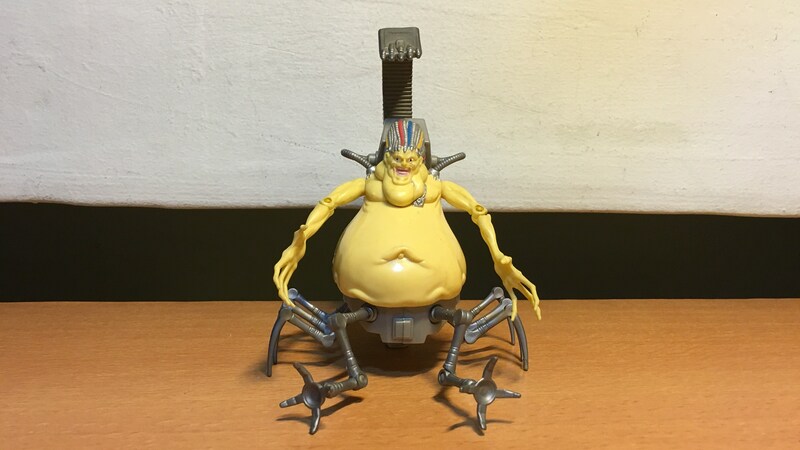 For the figure, there is a button on the back which when pressed brings down the appendage in a slicing motion. Oh, and you want to see the slicing motion. The “wild whiping tail action” brings the stinger down to just in front of Mojo’s face. 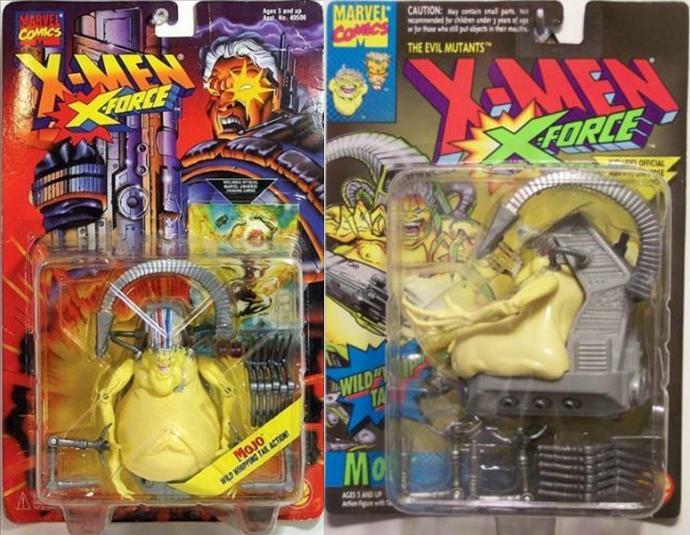 Mojo in his ToyBiz packaging, he seems to have been released in two different styles. Photos from a Google search. 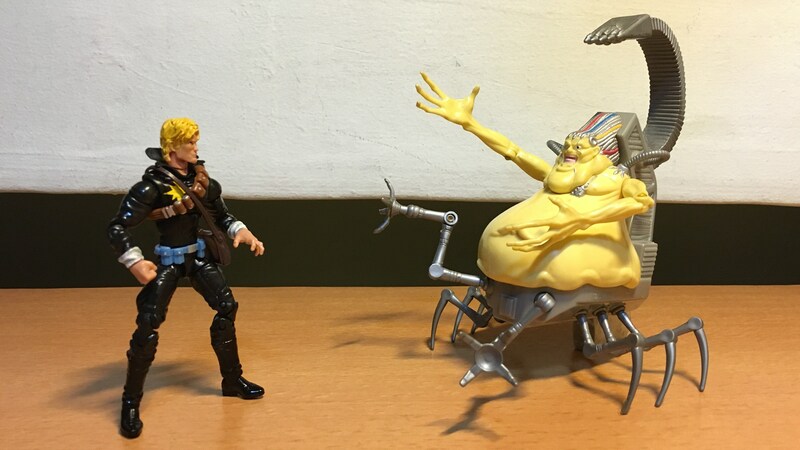 Mojo is confronted by Longshot, a former slave who has rebelled against him. Mojo ordered the creation of child clones of the X-Men called the X-Babies so that he can control them in an effort to improve his ratings. The X-Babies themselves eventually rebelled against him anyway. Here, Cykes is about to give Mojo a blast.